Yesterday I saw a man of a respectable age out walking his dog. The dog stopped next to a light pole, crouched down, and pooped – as dogs do. The man stopped, observed, and when the dog finished started to walk away. 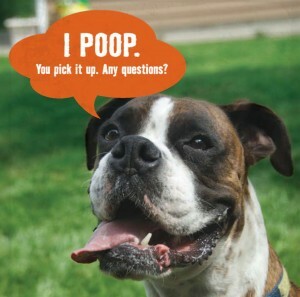 “Shouldn’t you pick up after your dog? *” I asked him. “Yes, I should,” he answered, looking at me sheepishly but making no movement to do so. “Show responsibility as a dog owner?” I continued jovially. “Do you need a bag?” And I started rifling through my pockets for a poop bag [which, being a responsible dog owner, I always have on me], since I thought surely the poor man had forgotten his at home. “Er, no, I have a bag,” he said, going on to produce one from his own pocket. He then stooped down and cleaned up the doggie poop. In other words, he had a baggie but had not planned to use it – unless he got caught. I posted about this on Facebook, and one of my [Icelandic] FB friends commented: “So typical for the Icelanders, this “There are rules here that need to be followed, but they don’t apply to me” mentality. Which pretty much NAILS IT. * I spoke Icelandic, of course, and this is the literal translation of the question. In English, I would not word it quite this way as it sounds rather abrupt, but in Icelandic it sounds quite normal. The reason I specify this is because of the man’s response.